Kate Satz brings it home in a local, high profile literary contest! She is one of two runners-up in the second annual Nashville Reads Essay Contest, and she and the other winners will be reading from their essays this Sunday, April 19, at 2 pm at Parnassus. I hope you’ll join us! 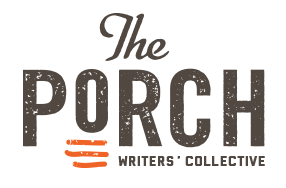 The Porch Writers’ Collective sponsored the contest in collaboration with the Nashville Public Library, The Library Foundation, The Office of Mayor Karl Dean, Humanities Tennessee, and Parnassus books. Congratulations to all of the winners, and we’ll see you Sunday! Many thanks to The Porch Writers’ Collective for the heat, light, sizzle, and sparkle you are bringing to the literary scene in Nashville. Report from Nashville’s Literary Death Match coming tomorrow! Thank you for this post, Jennifer, and spreading the word about talented Kate! The Nashville Porch Writers Collective is doing some really cool things; glad you are highlighting them. Go Kate, go!! Such a lovely writer.. So fantastic to see her honored for it! Wonderful!! Well deserved, Kate! And thanks to Katie for doing great things for our city! Cheers to the fabulous Kate Satz! I am not able to make it to Parnassus this Sunday, but I would love to read Kate’s essay. Can I find it somewhere else? Congratulations Kate! Sarah, I’ll happily send it to you – thanks for your interest! Yay Kate!! I hope to see you in action at Parnassus…will try to make it! Congrats Kate! Proud of you!!! Congratulations, Kate! I’m just learning about this today and am sorry we missed the Parnassus event. I’d really love to read your essay as well!